Pure Beeswax Candle Wild Lime. An energizing and refreshing lime scented candle. Ingredients: pure beeswax, herbs, essential oils, pure cotton wicks. We are engaged in offering a wide range of Bees Wax Candles to our clients. These candles are made up of Bee Wax and Essential oils. These candles are attractive in their looks and also gives bright light during burning. These are also long lasting in their use. 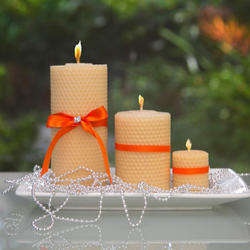 Beeswax Candles in India are made using the highest quality wax and essential oils. As a result their pleasing aroma elevates our spirits, sanctifies the air around us and calms our senses. 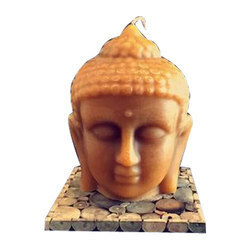 We are a well-known organization actively engrossed in providing a wide gamut of Deep 3D Moulded Candles which is ideal for decoration purposes. The provided array is applauded for its perfect finish, trendy look and excellent design.